In many serious car accidents in the Greater Boston area, one or more victims will be pronounced dead at the scene of the crash, or at the hospital a short time later. In some accidents, however, victims will survive for some time following the accident. This can be days, weeks, or even years. In such cases, a wrongful death claim may be added to a negligence claim that has already been filed so long as the plaintiff did not sign a general release of liability and waiver. While it may seem strange, a person could die from a car accident years later, there are cases where a person suffers from severe organ damage that will eventually result in death, even if it does not happen for a long time. For example, a person could damage their kidneys, liver, or both and survive for a while on medication and dialysis, but eventually succumb to the injuries. 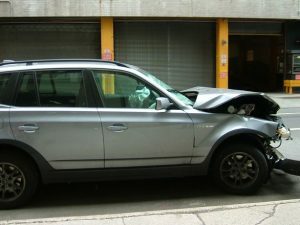 When a death occurs, as long as there is a causal connection between the accident that caused the damage, a claim may be warranted. Elements of Proof Required in Boston Car Accident Lawsuits involving Wrongful Death. 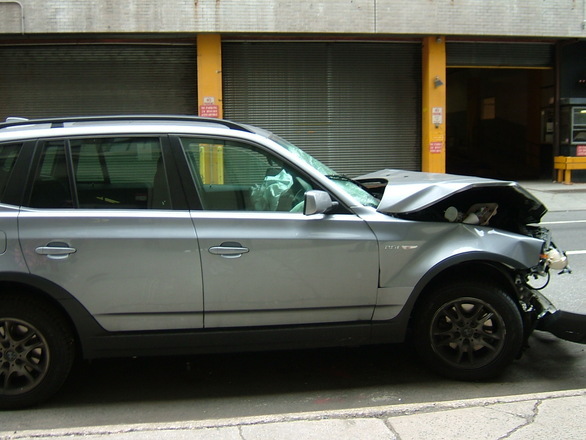 As our Boston car accident lawyers can explain, this lapse in time may cause defendant’s car insurance company to fight the wrongful death claim on grounds there is no proximate causation. To understand this, we can look to Chapter 229 of the Massachusetts General Laws (M.G.L.) which is our state’s wrongful death act. In any negligence case, including one with a wrongful death claim, the following elements must be established: Duty, Breach, Causation and Damages. In a wrongful death claim, it is further required to prove by a preponderance of the evidence defendant’s negligent conduct resulted in death of plaintiff. A duty is a duty of care owed to a person and it can be created by statute, inferred from conduct, or imposed via a contractual relationship. For example, a daycare worker has both a statutory and contractual obligation to care for children in his or her custody. A person who drives a car in our state whether licensed in the Commonwealth or elsewhere, has a statutory duty of due care. This is a duty to act as a reasonable and prudent person so as to avoid personal injury to foreseeable plaintiffs (victims). A breach of this duty can be established by defendant breaking a traffic law or by engaging in negligent conduct. As with any negligence case, causation is a required element. Loosely, this means defendant’s negligence caused death of plaintiff. Causation is however, broken down into two separate types of causation. There is actual causation and proximate causation. Actual causation is also expressed using the term “but for” causation. This is a strange term grammatically speaking but it comes from the concept plaintiff’s injuries would not have occurred but for defendant’s negligent actions. To put it another way, it would not have happened unless defendant had acted negligently. Actual causation is always required, but in the American legal system, it is not generally a heavily litigated issue. This is because it is very easy to determine actual causation in most cases, but it is not enough on its own without proximate cause. Proximate cause means defendant’s actions not only actually caused plaintiff’s injuries, but also was temporally-related to a degree making the damages foreseeable. If these damages were not a foreseeable consequence of defendant’s actions, it will not likely be considered negligence unless we are dealing with what is known as a strict liability tort created by statute or common law. An example of a strict liability offense often taught in law schools involves injuries caused by live stock. If you own a farm and cattle break through a fence and escape, any damage caused by these animals is going to be the owner’s fault regardless of whether any negligence occurred. This is because at common law, the farmer was in the best position to prevent injury by properly securing the animals in the first place. With proximate cause, if a person is injured in a car accident, and it results in organ damage, a later death due to organ failure would likely be considered proximately caused by the car accident. However, insurance companies may try to prove other illness and poor general health were the cause of plaintiff’s eventual death. Thus, what in actuality was a lengthy term of pain and suffering, may become an excuse to refuse to pay a claim. According to a recent news article from CBS Boston Local, a driver has been charged with various criminal offenses including negligent operation of a motor vehicle, motor vehicle homicide, assault and battery with a dangerous weapon, and was also cited for several moving violations, including failure to yield to a crosswalk. In this accident, a six-year-old boy was seriously injured and eventually died in a Boston area hospital. Prosecutors have said this young boy and his father were at a crosswalk when defendant allegedly ran the crosswalk and hit both of them. Witnesses have reported the 20-year-old female defendant remained on the scene and was very distraught, saying she could not see them in the crosswalk due to sun glare. She was cited at the scene of what turned out to be a deadly traffic collision, but she was not initially charged with any criminal offenses. A month and half later, the Norfolk County District Attorney’s Office decided she would be charged with the offenses listed above. It should be noted she has not been convicted of any crime in connection with this deadly accident and she is presumed innocent unless and until she is found guilty in a court of law by a judge or jury beyond a reasonable doubt. This is just one example of the types of car accident that may result in the delayed death of a victim. These are complex cases for which victims and their families should seek out timely and experienced legal help.